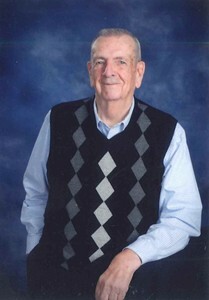 Donald E. Timmons, 86, passed away October, 30, 2015 surrounded by family at the Good Samaritan Nursing Center in Olathe, KS. He was born Dec. 29, 1928 to Raymond D. and Pauline “Fern” Timmons in Springhill, KS. He graduated from Springhill High School in 1946. He was a lifetime member of the American Legion. A member of St. Paul’s Catholic Church of Olathe, a WWII veteran, SSgt USAF in Alaska he served Aug 2, 1946-Aug 1, 1949. He married Mary Louise (Paulsen) Aug 9, 1952. He was a self-employed accountant for many years, and worked up to the very last year. He and Mary were Royals season ticket holders for many years. He enjoyed coaching and watching the boys play ball and also enjoyed farming, reading the Wall Street Journal and The Baron’s. He was preceded in death by his wife Mary Louise, parents Raymond and Fern and his sister Dorothy. He is survived by his sons; Rick (Heidi Smith) Timmons, and Phil (Connie) Timmons, sister; Ilene (Bill) Fater, 3 grandchildren, 8 great grandchildren and many nieces and nephews. In lieu of flowers donations can be made to the American Cancer Society or St. Paul’s Catholic Church. Add your memories to the guest book of Donald Timmons. RICK AND PHIL AND FAMILIES, JUST READ OF YOUR DAD'S PASSING. I REMEMBER YOU MEN WHEN YOU WERE BOYS.ALWAYS THOUGHT SO MUCH OF YOUR FOLKS.WAS ABLE TO SEE THEM AT SMITH AND PAULSENS GATHERINGS LATER IN OUR LIVES.I USE TO SEE YA'LL AT THE DENTIST OFFICE I WORKED AT AND THEN OF COURSE AT ST.PAULS CHURCH. MAY THE WONDERFUL MEMORIES YA'LL SHARE WITH FAMILY AND FRIENDS HELP TO SUSTAIN YOU IN THESE DIFFICULT TIMES. We are sorry to hear of Donald's passing. He & Mary Louise were good friends & he was a classmate at SHHS. They seldom ever missed the Alumni reunions held each June. We always enjoyed visiting with them & they were a happy couple. Don was always a fun loving guy. Our thoughts are with you at this sad time. I am so sorry to learn of your dad's passing. When I last saw him at Hoeger House he seemed to be recovering - at least he hadn't lost his sense of humor and couldn't resist teasing me, as usual. I am sure there was quite a reunion in heaven the other day with your mother and the Timmons and Paulsen families, not to mention friends and extended family - I doubt the rejoicing has stopped!! I am so sorry I won't be able to attend the funeral tomorrow - I recently had my hip replaced and am still in recovery mode. I will keep you and your family in my prayers. We didn't get to have Don in our lives as long as some of you did....but the short time we did know him it was clear to see how fond he was of his grandchildren and great grandchildren. I am not sure who had more fun at Walter's first birthday party....Walter or his great grandpa. I am certain there was a big party in heaven the day he left this world for the next, it may still be going on. Hold on to all the happy memories until we are all together again. Our love and blessings to the family. Don was such a fun person to know. I've never known anyone who worked so hard up until the very end. I'll miss visiting with him and listening to him teasing everyone around him. The world will be a much emptier place without him being here.